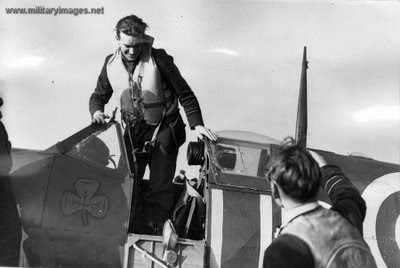 Brendan Finucane, better known as Paddy, is one of the most celebrated and well known Irish Royal Air Force fighter pilots. 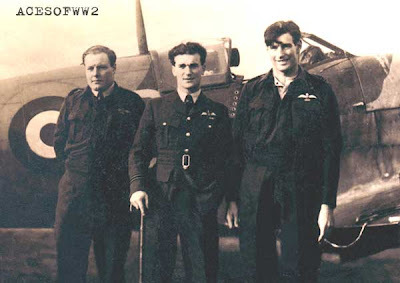 Finucane was credited with 28 air victories during WW2, five probably destroyed, six shared destroyed, one shared probable victory and eight damaged. Finucane was born in Rathmines on the 16th October, 1920. He was the eldest of five siblings, and attended school in Synge Street, and then later at Cardinal Vaughan memorial school in London. His father was a member of the Irish volunteers and served under Eamon De Valera’s command in the 1916 rising. Finucane achieved a lot in a relatively short space of time. In May 1938 at the age of 18, he joined the Royal Air Force. Following a period of flight training, and conversion to the Supermarine Spitfire, he was posted as Pilot Officer to No. 65 Squadron RAF at RAF Hornchurch in 1940. 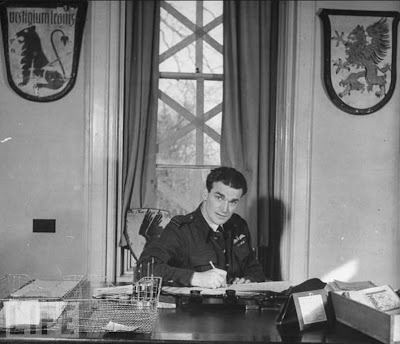 He became the youngest wing commander in the history of the RAF. In the battle of Britain on August 12, 1940, Finucane claimed his first victory: a Messerschmitt Bf 109. By the end of the year, he had claimed four BF 109's and a Messerschmitt Bf 110. In April 1941 he was awarded the Distinguished Flying Cross, and was posted as flight commander to the newly formed Australian No. 452 Squadron Royal Australian Air Force at RAF Kirton-in-Lindsey. In July 1941, the squadron made its debut in operations. July 2012 marked the 70th anniversary of the young fighter pilot’s death at the age of just 21. His death took place after machine gunfire brought his plane down just off the coast of Northern France. When Finucane passed away he was the RAF’s top operational pilot, and its youngest wing commander. At the time of his death the young pilot was a household name in Britain. In fact the name Paddy Finucane is far more recognizable in Britain than it is in Ireland. In 2004, RTE released a documentary on the young man from Rathmines, and a rose was unveiled at Baldonnel Aerodrome called spitfire Paddy. On the weekend of the 70th anniversary of his death, military historian Maurice Byrne held a talk at the National Museum of Ireland in honour of the airman.